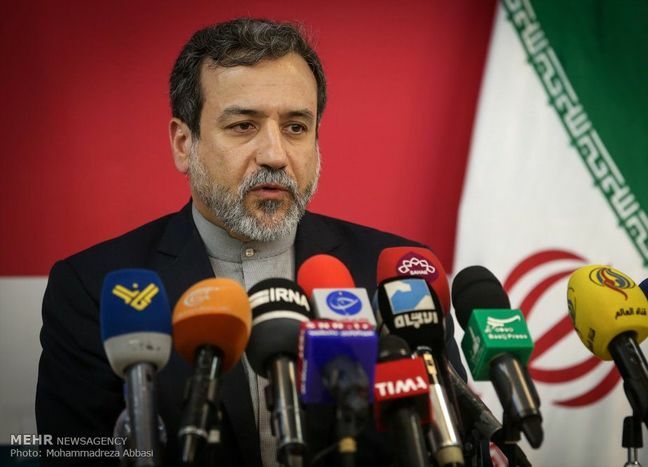 Abbas Araqchi made the statement in a meeting with Mohammad Omar Daudzai, Afghanistan’s special presidential advisor on regional affairs for developing consensus on peace and secretary of the High Peace Council, IRNA reported. Daudzai was in Tehran at the head of a delegation for consultation with Iranian authorities over Afghanistan’s peace process aimed at bringing about reconciliation with the Taliban. Araqchi welcomed the innovative approaches adopted by the Afghan government to advance the country’s peace agenda and pledged Iran’s full contribution, according to Financial Tribune. “The Islamic Republic of Iran will use all in its power to help the people and government of Afghanistan and promote unity and solidarity among all groups in this country,” he said. Both sides in the meeting highlighted the importance of preserving the political structure and the constitution of Afghanistan that are achievements of the nation’s years of strong struggle and sacrifice. They also reiterated that the involvement of all political factions in the reconciliation process is essential to sustainable peace. Daudzai presented a report of the latest developments in peace efforts, expressing appreciation for Iran’s support and constructive attitude toward the initiative. Fighting the self-styled Islamic State terrorist group, which poses a common threat to regional security, was another topic of discussion in the meeting. Araqchi and Daudzai also talked on improving bilateral economic cooperation at a time when Iran is facing harsh American sanctions. Araqchi expressed suspicion about the United States’ intentions in getting involved in Afghan affairs, stressing the need to take a regional approach and foster cooperation with neighboring countries. The US is implementing plans to forge a peace pact with the Taliban to pave the way for the withdrawal of troops. The latest meeting between American officials and Taliban representatives concluded last Tuesday in Qatar, with both sides saying progress had been made. However, the internationally recognized government of Afghanistan has been missing from the peace talks. The absence has caused tensions between the allies, with voices from Kabul accusing the chief US negotiator of “delegitimizing” the Kabul government by excluding it from the deliberations. Taliban also recently held talks with prominent Afghan politicians in Moscow in the absence of President Ashraf Ghani’s administration, whose officials have said such meetings undermine the fragile Afghan state. “On the issue of the peace process, we respect the views of all parts of society, including the politicians, but the ownership and the leadership of the peace process is the authority of the Afghan government,” said Samim Arif, a spokesman for Ghani, the New York Times reported. Iran has also initiated talks with the Taliban but officials emphasized that the talks were held with the knowledge of Afghanistan’s government. In late December 2018, a delegation of Taliban representatives visited Tehran and held wide-ranging talks with Araqchi. In early January, Araqchi went to Kabul to meet Ghani where he briefed him on the negotiations, assuring him of Iran’s commitment to Afghanistan’s leadership of the peace process. Daudzai, who had earlier met with Foreign Minister Mohammad Javad Zarif on Saturday, underscored that “the central peace negotiations need to be conducted by the government”. Zarif also stressed that in all Afghan affairs, the final say rests with its people, ISNA reported. “The government of Afghanistan, as the representative of its people, is the decision-maker and Iran will always work to assist the Afghan government and people,” he said.